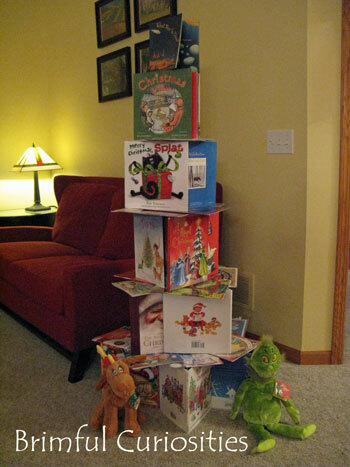 I recently watched an awesome video that shows how to build a Christmas tree out of picture books. David Maybury posted the video on his blog last week and several people linked to it on twitter. Do you need to add a few more holiday titles to your book collection? I compiled a list of several new 2011 Christmas / Holiday / Winter picture books. I hope you'll make sure there are a few books under your Christmas tree this year -- books make the perfect holiday gift! Any new titles I missed? *Thanks Cheryl Rainfield for bringing the picture book Christmas tree video to my attention via twitter! Love your book tree! I'll have to look for some of these books that are new to us! Thanks for including my new picture book THE LITTLE SHEPHERD'S CHRISTMAS listed on your blog! It was wonderful to see the cover in your slide show!